Beautiful and handmade tray that with its touch and sinuous form emulates the fineness of a feather. 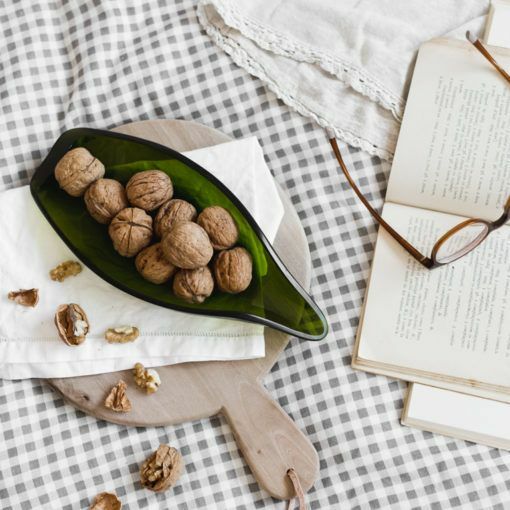 Ideal to give a sophisticated touch to your recipes and appetizers. 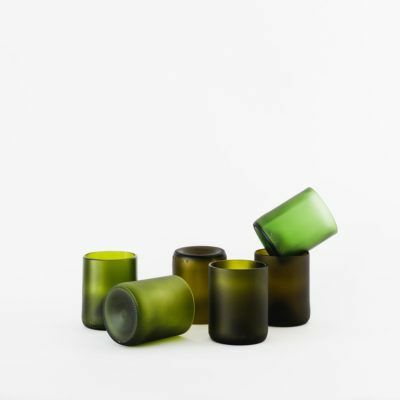 Green Feather is a handmade tray with that aims to provide an industrial object like a bottle of cava with a soul. This way, a bottle that would go right to the dumpster or would became silicon for pavements, is able to keep on telling stories in a new way that is part of great moments and celebrations with your loved ones. Every Green Feather is like a tree leaf: a unique piece so, because of that, it can present differences in shape and color, which makes it even more authentic. 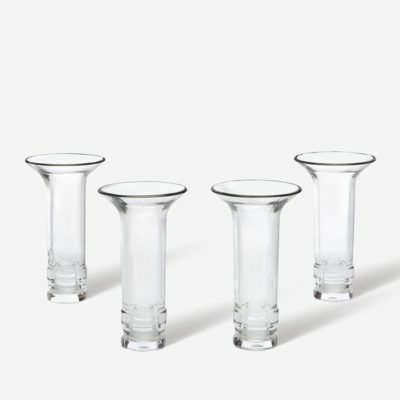 Its design is sophisticated and soft to touch to give your dishes and appetizers a delicate and attractive presentation, that would be worthy of a renowned chef. And news about our products. Together, we can make their dream come true! The 5% of your online purchase will help other people all over the world. Lucirmás Upcycling Barcelona. 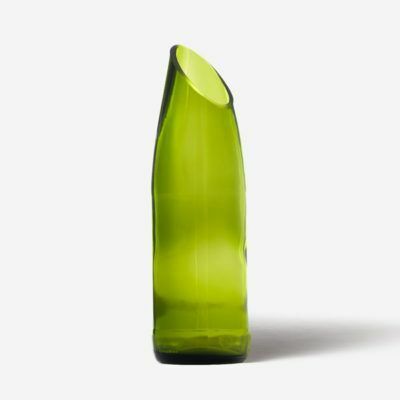 Glass bottles with a new outlook on life Handmade pieces, In recycled glass with an unique design, produced with low environmental impact.